In general introduction few examples of astronomical explanations of well-known and common local physical phenomena are presented. They are meant to show that it is often much easier to explain commonly experienced phenomena by investigating the behavior of something which is very far from the observer. In main chapters of the article the transparency of interstellar and intergalactic medium as well as the mystery of diffuse interstellar bands are presented. These very important fundamental problems are – for some reasons – overlooked by contemporary researchers. Plausible mechanisms of sociological, psychological and methodological kinds are proposed in last chapter as a potential explanation of fading of the scientific attempts to understand the nature and to create better future for the mankind. These are ethics in science and interdisciplinary way of solving scientific problems. Brosch N., Almoznino E., Wszołek B., Rudnicki K., 1999. The Nature of a Dusty Ring in Virgo. Monthly Notices of Royal Astronomical Society, 308, pp. 651-663. Krełowski J., Snow T.P., Papaj J., Seab C.G., Wszołek B., 1993. On the System of Diffuse Interstellar Bands at 5844 and 5850Å. Astrophysical Journal, 419, 692-697. Rudnicki K., Wszołek B., 1992. The Intergalactic Dust. In: G.A. Mamon, D. Gerbal eds, The Distribution of Matter in the Universe, Meudon: Observatoire de Paris-Meudon, pp. 343 -349. Wszołek B., 1994. Is there Matter in Voids?. In: H.C. Arp, C.R. Keys, K. Rudnicki eds, Progress in New Cosmologies: Beyond the Big Bang: 13th Cracow Summer School of Cosmology, New York : Plenum Press, pp. 67-69. Wszołek B., 1995. Observational Limits on Intergalactic Matter. Astrophysics and Space Science, 227, pp. 151-155. Wszołek B., 2006. Międzygwiazdowe pasma rozmyte, W: C. Kozłowski red., Materiały z II Interdyscyplinarnego Seminarium Studenckiego - Forum Młodych Nauki, Częstochowa: wyd. AJD, ss. 83-88. Wszołek B., Czajka M., 2002. Analiza widmowa emisji podczerwonej obłoków międzygwiazdowych. Prace Naukowe WSP w Częstochowie, Fizyka, V , ss. 79-97. Wszołek B., Godłowski W., 2003. Toward an adequate method to isolate spectroscopic families of diffuse interstellar bands. Monthly Notices of Royal Astronomical Society, 338, pp. 990-998. Wszołek B., Golda Z., 1996. A Search for Infrared Emission from Extragalactic Clouds in the Sculptor Group of Galaxies. Apeiron, vol. 3, nr 1, pp.1-2. Wszołek B., Kania A., 2005. Galaktyczna natura Obłoku Rudnickiego-Baranowskiej. Prace Naukowe AJD w Częstochowie, Fizyka, VI-VII s. 61. Wszołek B., Kuczara M., 2001. Badanie natury emisji podczerwonej z obszaru gromady galaktyk Zw5897. Prace Naukowe WSP w Częstochowie, Fizyka, IV, ss. 111-122. Wszołek B., Nagel E., 2002. Spectroscopic Families of Diffuse Interstellar Bands. Journal of Physical Studies, vol. 6, no 4, pp. 447-450. Wszołek B., Owczarek G., 1998. Modeling of the Effects due to Intergalactic Extincting Clouds in Distribution of Galaxies. Acta Cosmologica, XXIV-2, pp. 177-185. Wszołek B., Piłat A., 2005. Badania spektrofotometryczne wybranych ciemnych obłoków międzygwiazdowych w podczerwieni. 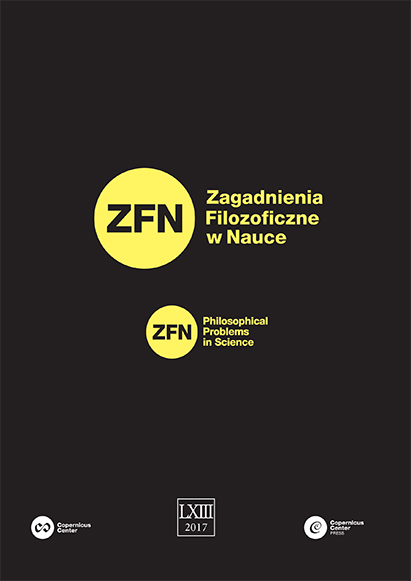 Prace Naukowe AJD w Częstochowie, Fizyka, VI-VII, s. 71. Wszołek B., Wszołek M., 2003. Diffuse Interstellar Bands. Astronomical and Astrophysical Transactions, vol. 22, no.6, pp. 821-825.